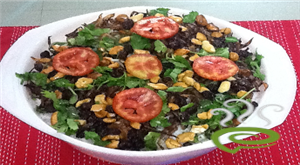 Kerala Simple Fish Biriyani is an awesome preparation very prevalent in Malabar region. 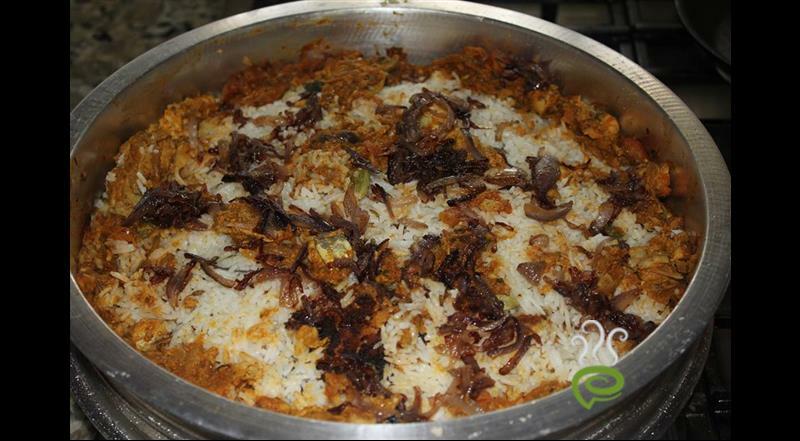 Kerala Simple Fish Biriyani is a non vegetarian rice based dish very fondly termed as a mother’s love dish. Fish fillets without bones are used for the preparation. 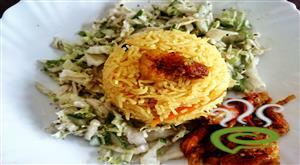 The exotic flavorful Kerala Simple Fish Biriyani is unique and special with fried fish fillets blended with a spicy masala and layered alternatively with cooked aromatic rice. 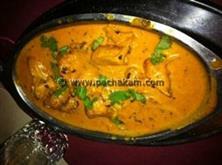 Fish is nutritious rich in vital nutrients required for body. 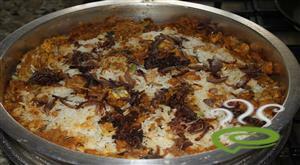 You can explore a well detailed Kerala Simple Fish Biriyani here. For preparing Kerala Simple Fish Biriyni, first marinate fish fillets with turmeric powder, red chilly powder, ginger-garlic paste and fennel seeds powder for 1 hr in a refrigerator. 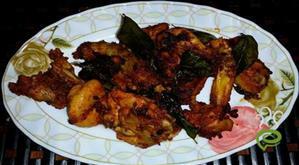 Fry the marinated fish fillets in ghee. Remove them to a plate and heat up the same pan. Add onion and fry, till it turns golden brown. Add ginger-garlic-chilly paste and fry for 2 mins. Add tomato, garam masala, salt, coriander leaves and mint leaves and cook for a few mins. 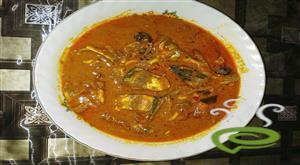 Put the fried fish fillets in this masala. Add enough salt, turmeric powder, cardamom, cloves, cinnamon and ghee. Cook rice until it is done and drain. :- Make sure the rice doesn`t get sticky. Put a little of cooked rice and spread 1 tsp of lime juice over it. Put one layer of the fish masala above that and repeat the process till the rice and masala are over. :- Take care not to break the fish fillets. Close the lid tightly and heat on a low flame for about 10 mins. 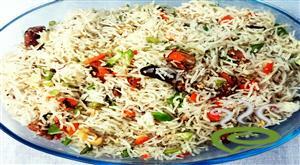 :- Serve Kerala Simple Fish Biriyani with yoghurt and chutney or pickle. Very yuuuuuummmmmyyyyy..............and thank u for sharing this recipe. Good one we all enjoyed a lot..thanks for your recipe. This is a wonderful recipe i wud suggest thiz one for anyone who wants to make a lovely fish biriyani!!! This is a very good recipe.I decreased the spice amount a little but it was still quite spicy.I would recommend thid recipe to anyone who wants to make a good fish biriyani. 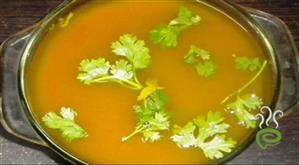 The recipe is very good.Easy to prepare.But if it is little more spicy it will be the beat recipe.